I know, I know.......there should have been already a thread about this mighty bard/poet a long time ago, but I didn't want to be the only contributor to it. I've discovered that quite a few people like him or at least know a few songs, @Ann_argr being the last one. So, a thread about this enigma kind of guy, who a lot of people have a problem with because he's sounds so depressive. Well, I've never had that assumption and I heard him from the age of 7 and he has always been my favourite singer. But there is so much more to him than his singing, He started as a poet (Canada) in the 1950's and received numerous prizes and acknowledgements for his (not so easy to understand) poetry. Encouraged by especially Judy Collins he wrote and started to perform (very reluctantly) in 1967 and away he was...........becoming a master in lyrical compositions, which in my opinion never have been better done since. HE should have collected the Nobel prize for literature, not Bob Dylan if you want to emphasize the beauty, deepness and wiseness of lyrics. His influence on artists and other people is mindblowing. There are so many musicians that have done a dedicated album by covering his songs or participate for a tribute album...it's unbelievable. The only issue that I have with Leonard that his lyrics, poets and books sometimes are so difficult to understand that I sometimes got a genuine headache by trying so. And then he would explain some things in interviews and it all made sense (for him). So, I concentrated on his music. And there is a kind of artistic lonesome dvd called 'Ladies and gentlemen...Mr. Leonard Cohen' about his more poetic life during the 1960's. 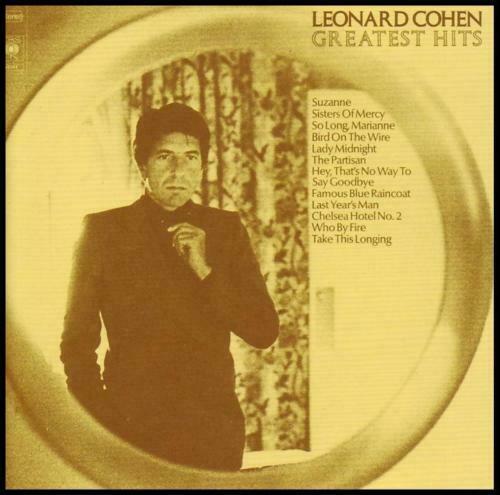 Alright, so, my dad is a huge Leonard Cohen fan, but I never listened to him, until... a week ago. Now I can't get him out of my head but I only know a few selected songs, mainly the most famous ones. His discography is huge, so where should I start from? Maybe a best of? edit: I thought I already posted those songs, but clearly not. What to listen to ..............? Just a simple 12 songs long cd with his early work. After that I would really recommend (my favourite) 'Various positions'. It was the start of a kind of new beginning, artistically and certainly music wise. Here you will find 'Dance me till the end of love' and the one and only Original 'Hallelujah' (1984). And then try 'Ten new songs' (2001), which came out as a flash in the night, because he had stayed at a budhist monastery for a lot of years. It was the beginning of the third and last part of his career, in which he became really known to the whole wide world. It's a gorgeous album, my second favourite. Thanks for the recommendations @hunebedbouwer, I will check them out! Hope you will enjoy your discovery journey. A lot has been released, like the Wight album, after his resurrection in 2001. It has 2 reasons: he was totally ripped off by his former manager and was skinned, so could use a bit of cash. But the main reason was that his fame after 2001 took such proportions that his record company to release about everything they still had in stock, because they knew the costs would be greatly covered by the earnings. So, at last his very memorable Wight concert (the place was about to explode into revolution and violence and then Leonard took to the stage and completely sussed the audience and mesmerized them with his words, humour and songs!!!!) was available for his diehard fans. There are far too many dedicated cd's to Leonard to mention, but I will post some songs on this thread by those artists. There are also countless bootlegs (especially after 2001) of him, some brilliant, some not so good, but I don't care.....I want them all !! Three songs of his 're-start' in 2001 with 'Ten new songs'. It was very surprising to hear it. Not only because of the absolutely class of that album, but most, because no one expected Leonard to come off that buddhist monastery high up in the California mountains. I rate this album as one of his best. Again, the songs have so much depth in lyrics, but also the compostions are musical wise real gems. Fellow composer Sharon Robinson, who already sung for a long time with him as a background singer, also had quite a big influence in the songs. The songs are very melodious. I love this album so much that I always play it fully. No bad song. That doesn't happen so often in music. This cover by Norwegian singer Sigrid Raabe. Well known from the film Justice League. Adele meets Leonard Cohen, I'd say. I've got a problem...........everybody and his dog is covering Leonard Cohen for the last 15 years and I want all cd's that are released, but there are so many!! I've made it one of my collection goals to get so many as possible of them, even if they are rubbish. I've got one of Frisian (own language spoken in Friesland, province in the NL) artists doing it. Apart from 1 or 2 songs........bloody awful!!!! For example this one......I couldn't even recognise that it was 'The partisan'. The one you posted is quite a good one though !! Love it! 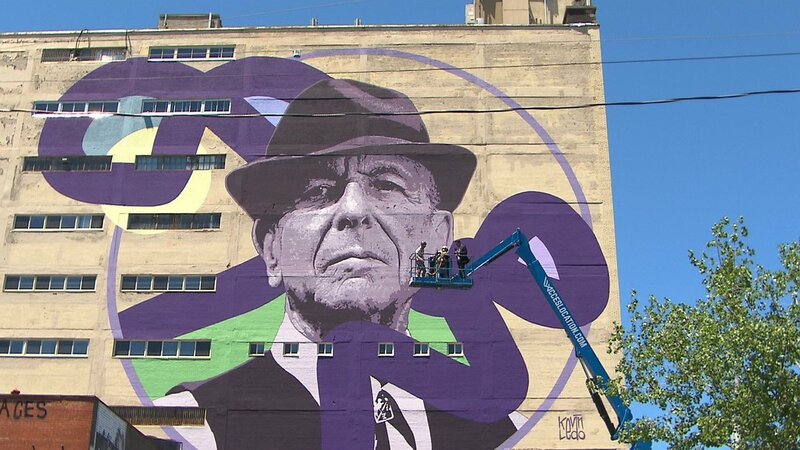 Just goes to show what kind of influence Cohen was for some many other artists. Everybody Knows must also been covered at least a dozen times. Here's one more, this time a gothic metal-version of First We Take Manhattan. Great cover! Good and different! A few months before his death, Leonard released his last album called 'You want it darker'. He already knew he didn't have long to live then. It's a spine chilling goodbye taking his situation in consideration. Therefore the song, also named 'You want it darker', made an everlasting impression on me. It's a kind of funeral song. Still play it a few times a week. But, but, but .........it IS the ORIGINAL!!!!! I've got so many memories and emotions when I discovered that record in 1986. I was in a very bad shape that time and while travelling for years, I spend 3 months on Crete. 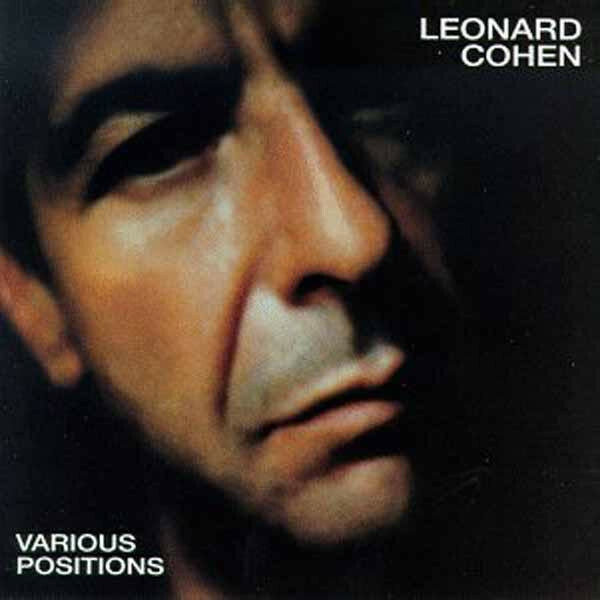 I checked out a record shop over there (Agios Nicolaos) and found out Leonard had released 'Various positions'. Bought the music cassette (precious mint green Sony walkman) and played it a Hundred Thousand times in that year and a lot of times after that........Always the whole album. It helped me a lot! I've got such a strong connection to the whole album, but to 'Dance me till the end of love', 'Hallelujah' and 'If it be your will' especially. But still, it was not a very good selling album for him. The interest for that album only increased a lot after all these covers of 'Hallelujah' in the 00's and beyond. Personally, I always found the original by far the best. Try 'Ten new songs' next. It will surprise you. By the way, I have been listening to Hallelujah non stop, and I've come across so many beautiful covers. The ones that excite me the most are those sung in different languages. The version that really made 'Hallelujah' known to the wider world was that of Jeff Buckley. Look at the amount of views!!! Leonard's best viewed version has a few millions less! This is from the 'Live in London'-dvd. Just like Louise we'll get lost in the shades"
In 1992, Leonard made a very clear, hard sometimes, album called 'The future', with an overall pessimistic vibe about the world of today and the incredible machinations that are going on. Quite different to his former work, but still very enjoyable with again superb lyrics which often you have to peel layer by layer (it takes very good listening) to discover what he really means. It came as no surprise that after this release, he withdrew himself from daily society till 2001 to live like a buddhist monk to try to get peace and understanding within himself. I often wondered during that time whether we would ever hear from him again on the music front. People might find that sometimes a problem, because his lyrics/songs are not that easy to understand/digest at the first go. For instance, 'Dance me till the end of love' sounds like romantic tender love/dance song, but it is a song about the concentration camps in WW2. It's about his impossible love for a married woman with the same name in Montral (I think). They feel a lot for each other, but Suzanne decides that her marriage is more important to her than a possible affair with Leonard, so she rejects his romantic avances. 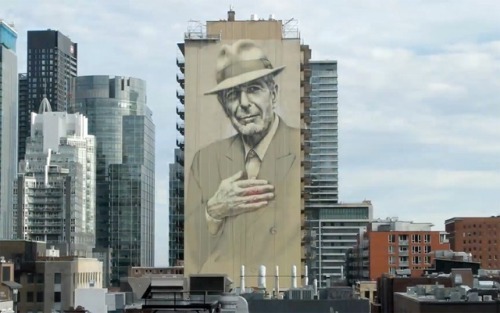 It's still wonderful how Leonard did put such a heartache in such a gentle song. Marianne was a Norwegian woman with who Leonard deeply fell in love with. They stayed together quite a while and had a son. They also moved to the Greek Island of Hydra (Leonard bought a house there) lots of times and he wrote a lot of songs there. But after some Marianne decided that she wanted more of Leonard (spending time together/commitment-giving up affairs with other women) and bringing up time), but he couldn't so that was that, although they remained good friends. When I read that in one of his biographies (around 1998 or so), it hit me that he was quite a selfish person during that time. In the 60's there was ofcourse loads of free and wild sexual behaviour, but still, when women behaved like that, it was far less accepted than when men were doing the same. Nancy used to live in those circles and Leonard was also part of it. But in the end, Nancy felt used and not wanted by all the cheap thrills. Alone and rejected. In the end she commited suicide. Leonard felt very guilty and had many regrets about what had happened to her. So he wrote this song. One of Cohen´s few instrumental pieces. ´Tacoma trailer´ from ´The future´. It´s a bit of a feeling Zen song. In 2006, Leonard Cohen released his 'Book of longing'. The first poetry collection since 'Book of mercy' in 1985. It's a collection of poems and drawings, mostly written and drawn at the Mount baldy Zen-monastery, but also some 'long forgotten' work from the late seventies. The next year, composer Philip Glass released his 'Book of longing', A cd with the description....... 'a song cycle, based on the poetry and artwork of Leonard Cohen'. He translated 23 of Leonard's poems into pieces of music. Some of the songs do include Cohen's spoken words. The works were originally produced for a festival in Toronto and Adelaide, but soon a worldwide festival/theatre tour followed. One way, it's a bit of weird (acquired taste - classic/musical/operatic) one, because of the kind of music, on the other hand it absolutely fits into Leonard's style, his lifestyle and who he is. I've listened quite a few times to it....it's quite relaxing if you take the effort and time to listen to it, but I do clearly prefer his normal albums. You do come across original song lyrics all over, which is quite pleasing. It makes you connect more to the poems and music. Song from the album ´I´m your man´. This is the most intimate live version I know of. It´s from a bootleg, which covered a concert in San Sebastian. I got the bootleg and it´s not of a great quality, but the moment at 04.00 that Julie Christenen starts to accompany Leonard´s voice gives me the shivers every time...........perfect harmonies...........while the other female singer Perla Batalla is completey in trance (or stoned). A post about one special song, namely 'Dance me till the end of love'. Released as the first song on the album 'Various positions', which came out in 1984. The song follows the typical structure of a 'hasapiko', a greek dance song. Most likely done, because of his long stays at the Greek Island of Hydra. 'It's curious how a song begins, because every song always starts with a grain or seedling that people hand you or that the world hands you. In this case, it began when I started reading and hearing about the death camps. That there, right next to the crematoria in certain concentration camps, were string quartets, which played classical music while the people were neing gassed and burned! So, the 'dance me to your beauty with a burning violin' phrase actually means 2 things: the beauty that describes the consumate life/existence. And the burning violin that destroys that. But it's also the same language that we use for our beloved'. When you know all this, it's very hard not to think about what the song is about. It has been covered many times (although not even close to the amount of 'Hallelujah'-covers - from the same album) and has been translated into lots of art forms. 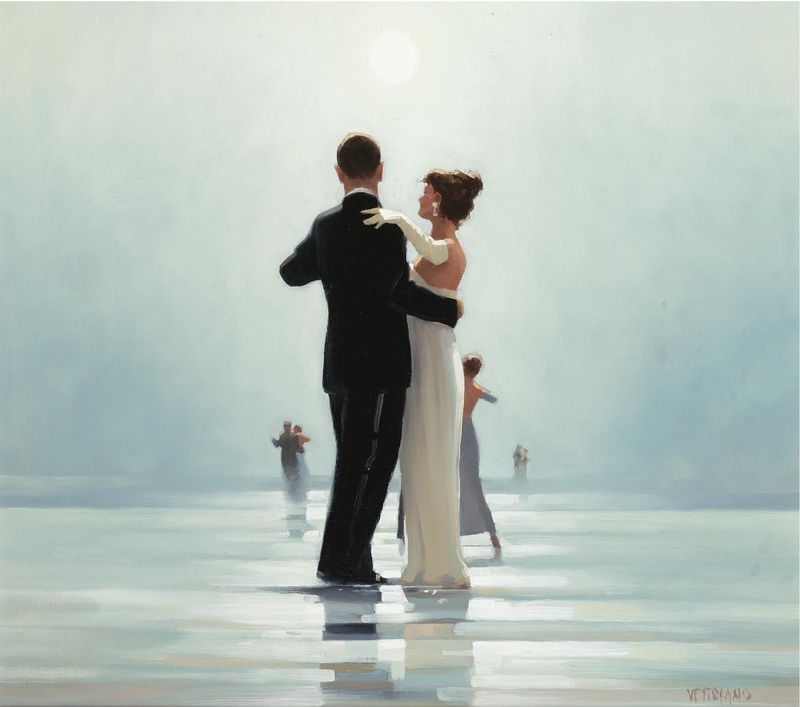 Like Scottish painter Jack Vettriano, who did a painting about the song. But at my own first hearing, (coincidentally on Crete, in Greece) I was fully enthralled (and still am) by the romantic addictiveness of the tune. It's one of my favourite Cohen songs. I was reminded of this song when Within temptation played Sigrid's cover from the Justice League movie (cool cover, horrible movie) at the end of their live stream. I like this performance of it. I enjoy Leonard Cohen's music but not as much as some people, I remember I used to babysit this kid who's parents had a framed picture of him in their living room, I'm more of a casual fan .